Hatam’s images are warm and whimsical. They brilliantly and beautifully capture the complex, big emotions of siblings. 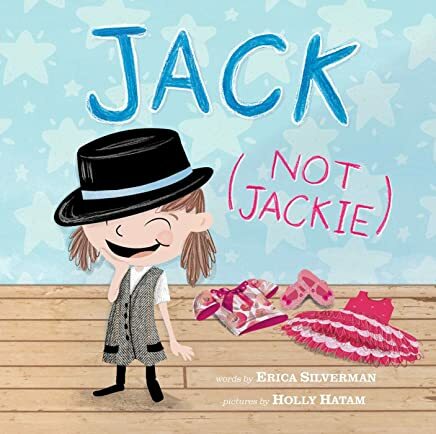 Susan, Jack’s older sister, loved him since the day he was born, but she shows discomfort with his masculine gender identification and expression, even before he can clearly articulate that he is a boy. Whereas the children’s parents seem to go with the flow, allowing Jack space to experience and explore, Susan polices his identity. But, once Jack finally explains that he is her brother, not her sister, after some emotional processing, she realizes she will always love him and be on his side. I adore this book and recommend it for school and personal libraries. I read it with my four-year-old and it all clicked for him. He felt for both Susan and Jack, making the book a wonderful exercise in empathy. He said, “Jack just wants short hair because its boyish and he’s a boy. No one knew but now everyone does.” Yup! This is a book you can read over and over again (and I have)!